Liberty, a Golden Labrador, has a special gift: She can put a smile on anyone’s face. Whether she’s helping children practice their reading, helping the sick and disabled or meeting locals on the street, Liberty, a therapy dog from Hasbrouck Heights, provides unconditional love and support to all whom she encounters. 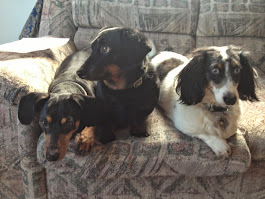 Together with pet parent, Tom Meli, they have visited numerous hospitals, schools and community events to provide compassion as well as awareness to the Canine Assistants program. Liberty’s resourcefulness is no accident. She is a graduate of the Canine Assistants school, which trains high-functioning service dogs to be the super-pups of the canine world. Her top skills include: comforting and calming people with epilepsy, helping children improve their reading and lifting the spirits of everyone she encounters. Liberty is one of 10 dogs chosen by Milk-Bone brand dog treats after a nationwide search to uncover the four-legged heroes who have made an extraordinary impact on the lives of individuals they love and the communities that need them. 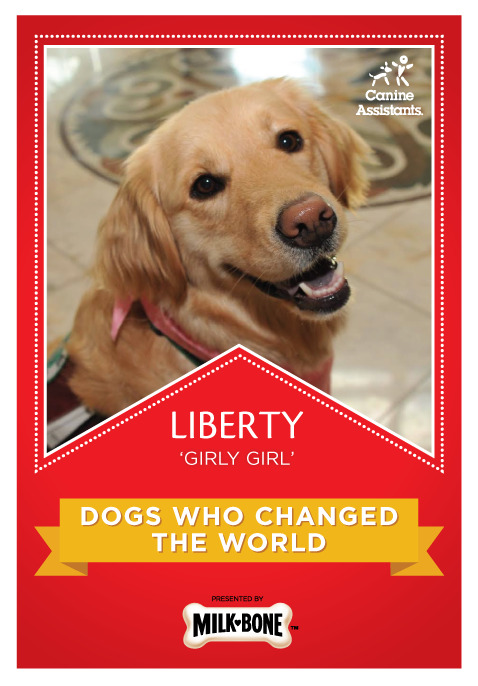 Milk-Bone has created a special “Hero Dog Card” (aka “a doggie baseball card”) to recognize Liberty’s remarkable achievements. For additional information go to www.thenoseprint.com/article/hero-dogs. The remaining dogs will be announced in weeks to come. The full list of 2016 Dogs Who Changed the World will be available on Mon., April 11.